Everyone knows that pizza is one of the most popular things to eat, now you can find out where the best pizza slingers can be found virtually anywhere in the world. 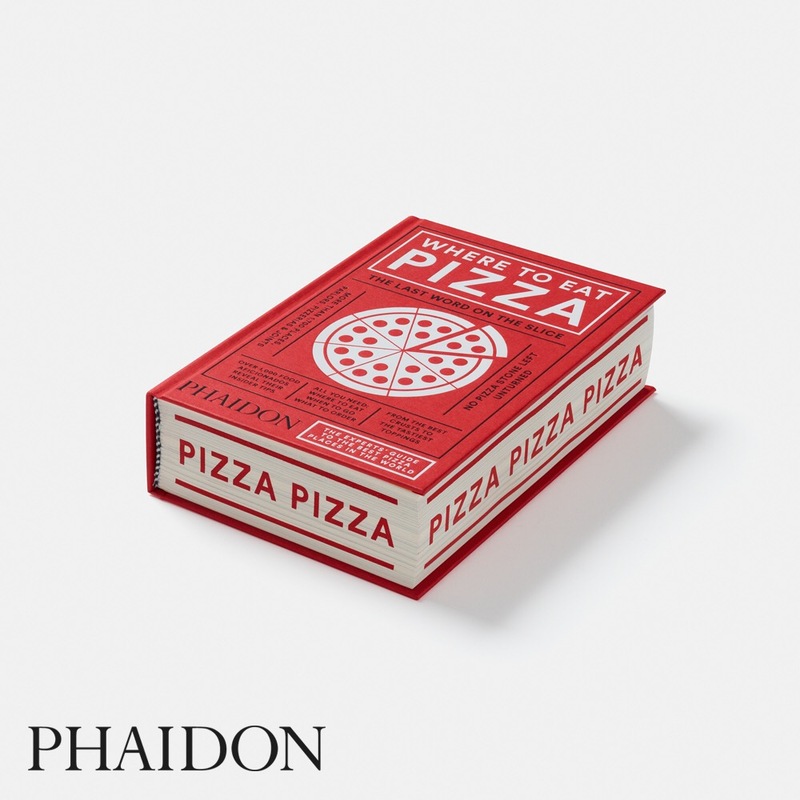 Well, publishing group Phaidon have released a new book, aptly named Where To Eat Pizza, by author Daniel Young, the man responsible for the London Pizza Festival. Last year, I was kindly asked to contribute to the book with my recommendations for Leeds; I reckon it must’ve been my constant banging on about the great and good of the city that did the trick. The book compiles the favourites of a whole host of food lovers from chefs, critics to bloggers like me. The result – a staggering 1700+ entries world-wide are listed, so pizza lovers out there will be hard-pressed to not find a decent slice or two! For each city included there’s a map pinpointing each entry and a description of why it’s part of the list. 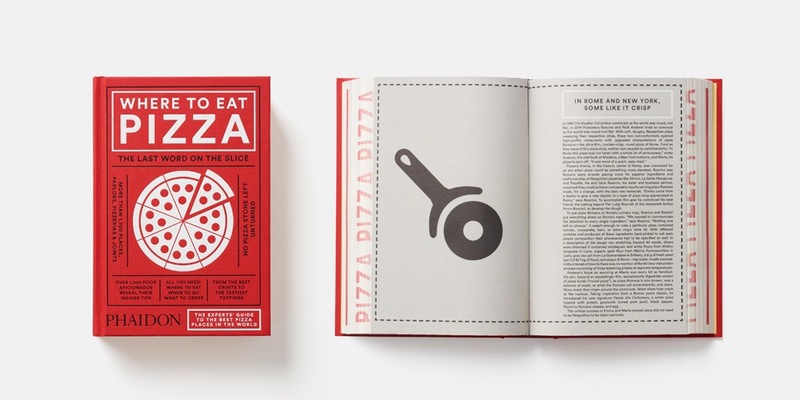 To find out about my recommendations, or for the best places around the globe Where To Eat Pizza is available to buy now, both online and from all good book shops!! It’s been an exciting wait for Polpo to open in Leeds. The critically acclaimed London restaurant has branched forth into the glorious north and laid their hat in the luxurious surrounding of Harvey Nichols, blending Venetian style with an added touch of rustic charm. This really was the hottest opening in town so my friend and I got dressed up and hot-footed it to the top floor of the fancy shopping centre to see what Russell Norman’s latest bacaro has to offer. Thanks to Harvey Nichols for the free invitation! If you like the small plate style of eating, then Polpo is for you, offering up tapas style food with a distinctly Venetian flavour. We sat at our table and were welcomed by a complimentary cone of calamari and courgette which, whilst lacking seasoning, was a lovely way to start snacking whilst perusing the menu for what to indulge in. The surroundings were busy and created a cosy atmosphere with unique lighting which made it feel like you had walked into a family run Italian bistro, a move away from the slick glass and metal modernity of Harvey Nichols. The staff were very friendly, advising us to order quite a few dishes to enjoy between us and giving us personal favourites to help us order. In the end, after much deliberation over which type of meatball to order (yes, the struggle is real! 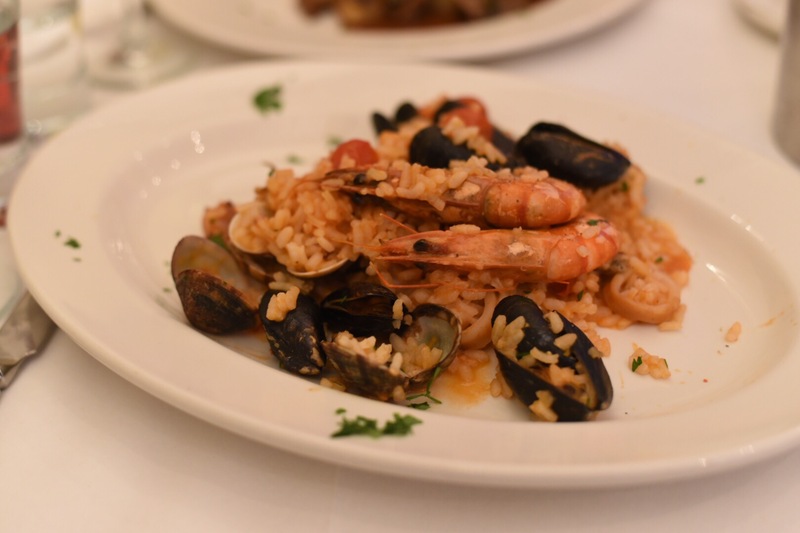 ), we plumped for a mix of seafood, meat and a couple of the staff favourites. First arrived our cicchetti (meaning very small), which were the stuffed fried olives and ham hock and mustard crostini. Along with this came our cocktails, elderflower martinis which came in daintily small glasses. They were delicious and the size was deceptive – I had three, thinking how something so small wouldn’t have much effect. My head didn’t agree the next day. Note to self: don’t be greedy! Anyway, enough of my lack of self control, more about the food! 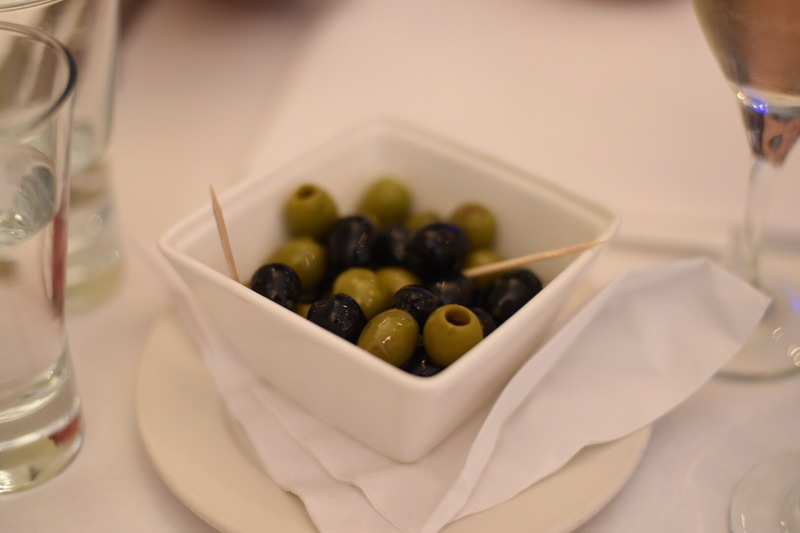 The fried olives, stuffed with anchovies, were worthy of the recommendation from our waitress – crispy, salty and moreish, a perfect partner with a crisp glass of white wine or a cold beer. The ham hock and mustard crostini looked delicious and was piled high with meat, but was slightly less successful than the olives in terms of taste. The pork was succulent but, similar to the calamari, lacked seasoning and a sense of piquancy – in fact, it was pretty difficult to pick up on any mustard on the crostini. Tasty, but slightly bland. Possibly a opening night oversight. Our pizzette – a light alternative to its doughy namesake was topped with spinach, parmesan and a soft baked egg. This was a surprising find, with a different texture from what we expected, with the spinach topping forming a soft mousse consistency, cradling the perfectly baked egg. With a generous sprinkling of parmesan, this was a light and satisfying dish which we thought would make a great lunch if you weren’t wanting a filling dish. From trying the spinach offering, I’d definitely go back for the other three pizzettes, with the prosciutto, scamorza and pickled radicchio flavour sounding very tempting. Along with our pizzette came one of the Venetian classic dishes: meatballs and spaghettini. The choice of meatball at Polpo is pretty impressive, with a customer being able to choose the ‘classic’ beef and pork, lamb and mint, spicy pork and fennel or a chickpea, spinach and ricotta offering for the vegetarian diners. You also get the choice of tomato sauce and spaghettini or meatballs ‘alla vedova’, which means the meaty morsel is deep fried in a crispy crumb. We plumped for the classic sauce and pasta option and really enjoyed it, with the mixture of the beef and pork giving the ball a firm texture and a deftly balanced, savoury flavour. We inhaled them greedily, fighting the urge to play out a scene from Lady and the Tramp (I’d have been the tramp, just in case my friend is reading this!). Our last duo of dishes were the roast pork belly with braised apple and chilli and garlic prawns, which are always a great partnership in my opinion. The prawns were well seasoned and cooked (I could have eaten two dishes full of them) and the crackling on the pork was devilishly crispy and delicious. The actual pork belly and apple combination, a natural pairing, unfortunately followed suit with the previous dishes due to a lack of seasoning. It should have been a stand out dish but paled into the background with the soft apple adding little taste to the overall plate. But never fear, the desserts were here to save the day – and did they ever! My friend and I would both own up to being massively sweet-toothed, so when we saw tiramisu on the menu, there was no debate – it had to happen! I also decided to try the flourless pistachio and almond cake, because those two flavours are personal favourites of mine. Now did I mention how greedy I was earlier? Yes…well, we saw chocolate salami on the menu and had our curiosity piqued. The waitress offered to bring some over as well and y’know, who were we to refuse? It would have been rude not to. 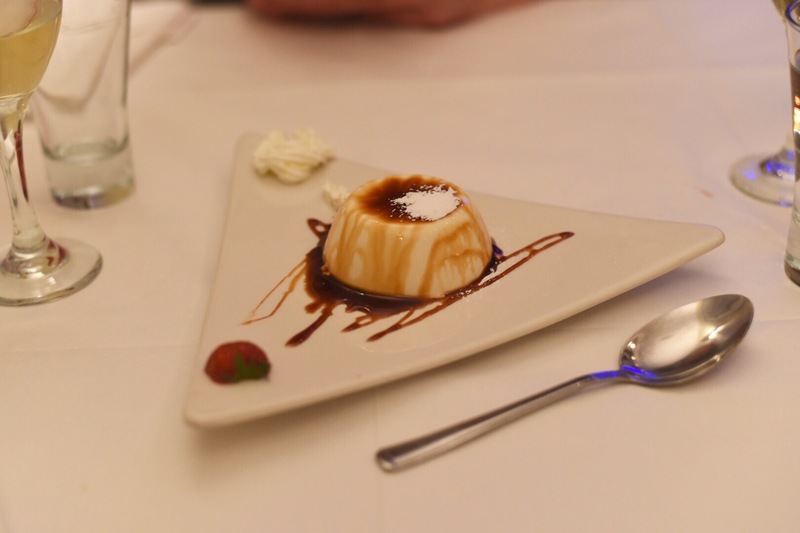 The tiramisu pot was sumptuously silky and boozy – everything that a tiramisu should be. However, the stand out dish was the pistachio and almond cake, coming with a HUGE dollop of mascarpone drizzled in honey (my pet peeve is when restaurants give you a meagre serving of cream – so thanks Polpo for your dairy generosity!). It was light, moist and one of the finest sponges I’ve eaten in a long time, The pistachio flavour shone through and was delicately accompanied by a wonderful almond essence which lingered in the mouth. It is worth returning just for this cake – a masterpiece! And the chocolate salami, I hear you cry? Well it was very simply slices of chocolate, nut and fruit – we’d nearly eaten ourselves into a coma by then so didn’t finish them, but it was a lovely side dish and I could imagine children loving this accompaniment, or it going down a treat with a cup of coffee. The evening was really enjoyable and the food, on the whole, was tasty and definitely well worth the prices. Leeds is pretty jam packed with restaurants at the moment but I think the placing of Polpo in Harvey Nichols, along with its reputation, will see it thrive. Hopefully small niggles like seasoning will be ironed out in the first few weeks of opening and if I was to recommend anything, go in for coffee and the flourless pistachio cake, or a pizzette and an elderflower martini (just don’t drink three on a work night – your liver won’t thank you, mark my words). 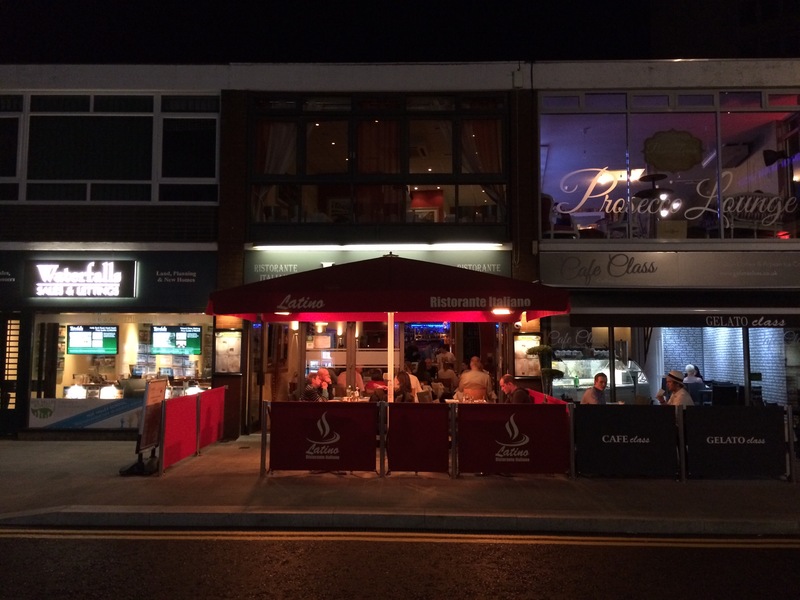 Disclaimer: this review was written following a free invitation to Polpo’s preview launch. 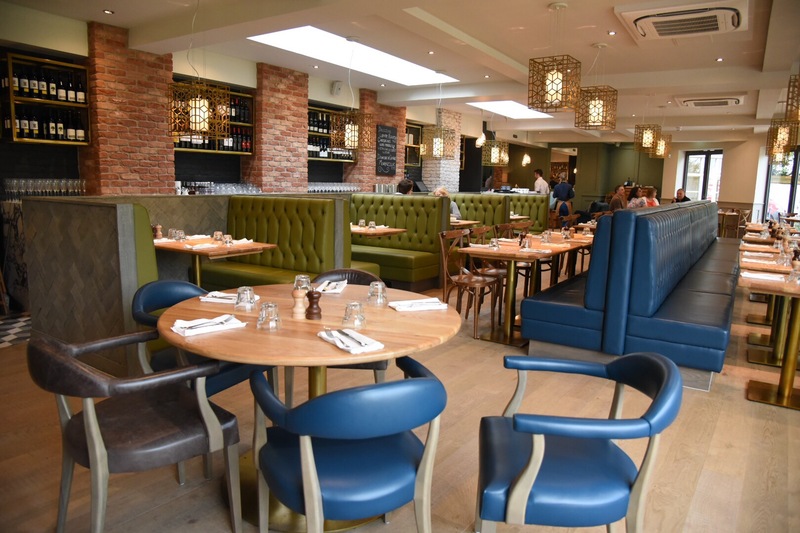 I recently wrote a review on newly refurbished and reopened Coppa Club restaurant at The Great House, in a lovely village called Sonning for Olive Magazine. 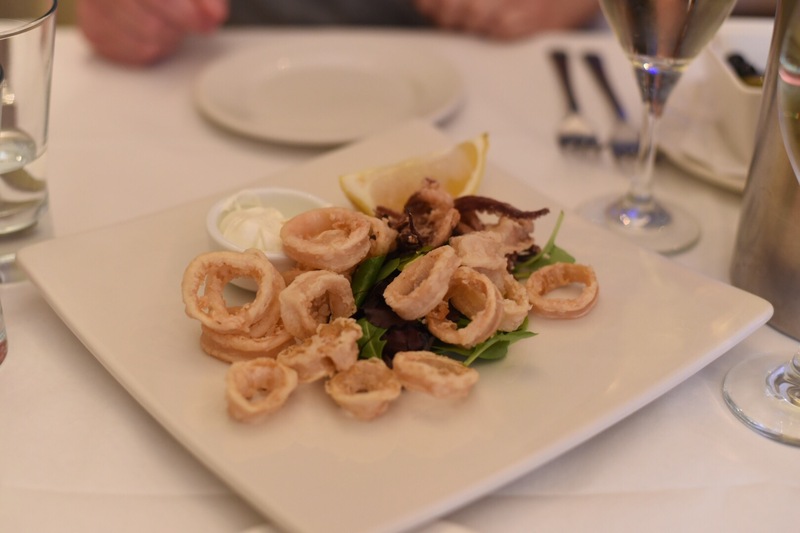 Click here to read the review, including wonderful fritto misto, awesome lamb chops and dreamy flourless chocolate and almond cake! Last Friday our house in Leeds FINALLY exchanged contracts and completed after 20 long weeks, so there’s a mixture of feelings going on right now! There’s a definite feeling of relief that it’s done, sadness of not living there anymore and the stresses that come with getting on the property ladder again, especially when it can cost at least double compared to what we can get in Leeds! We decided to nip out for dinner to put an end to a chapter as it were and popped into town, walking passed Latino Restaurant on High Street, it looked busy so possibly an indication for a decent feed. A quick look at their menu was enough to get our custom and within a minute we were seated near the bar at the back of the room. Quickly ordering a bottle of wine we checked out the menu which was full of classic dishes, picking out a couple each. The place was pretty much full to capacity apart from a couple of tables so there was a good atmosphere. The waiter who’d taken our order brought a plate of calamari to the table and started to walk away, as much as I like squid I’d ordered arancini so quickly called him back and explained the problem. There was a look of confusion, then he frantically scanned his order sheets to check what he’d written. With all the panic, I didn’t want the squid going to waste and said I’d swap it instead. Considering it wasn’t what I’d ordered it would still have been in my top three picks, they were great – lightly crisped and tender flesh that came with a yummy garlic mayo. A good size portion, but for £7.50 I’d expect it to be. 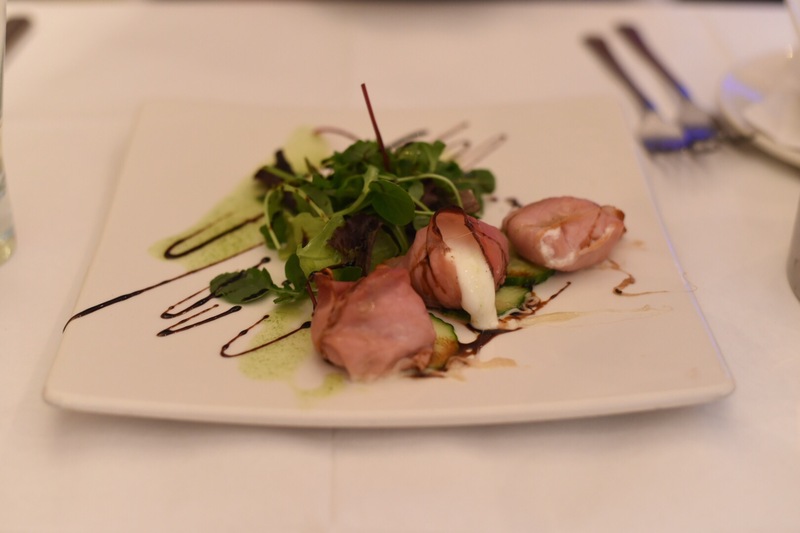 The Bocconcini arriving well after I’d finished the calamari, a shame because it couldn’t be faulted on taste – the salty Speck ham and melted creamy mozzarella working really well together! So far there’d been confusion over orders, delays in service, but the food had been great and the staff kept apologising for mistakes. Next up were the main courses, once again a lengthy wait and another error! I was just about to tuck into my risotto when the other half said his dish was wrong – he’d ordered veal not pasta!! This time both dishes were taken away, I didn’t get a hint of a mussel or even a grain of rice….gutted! Deja view ensued….order tickets were checked, the waiter even showed us, what he thought was our ticket had two different dishes on it! Had we got another tables order?! When new dishes were brought across they’d got it wrong AGAIN – he’d brought the wrong veal dish!!! 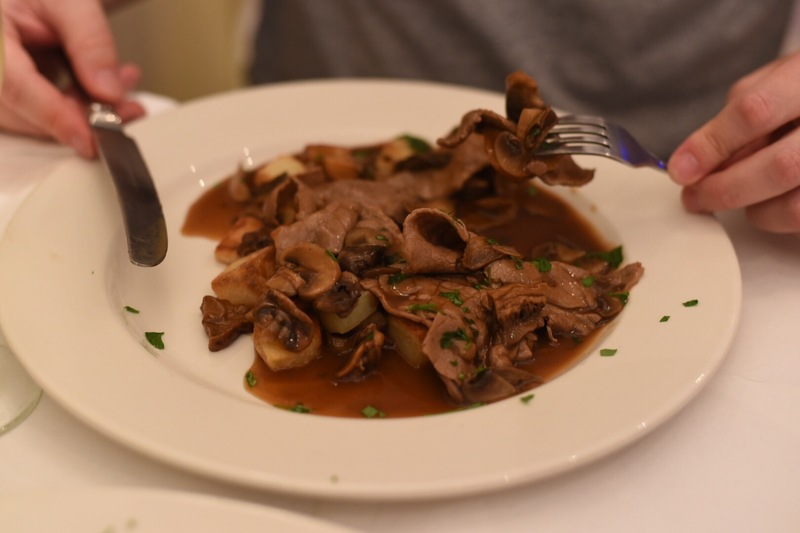 He was expecting veal with gorgonzola cheese sauce and potatoes, NOT mushrooms and a marsala sauce! This time the same waiter scooted off so quickly we couldn’t be bothered to tell him the fault again. 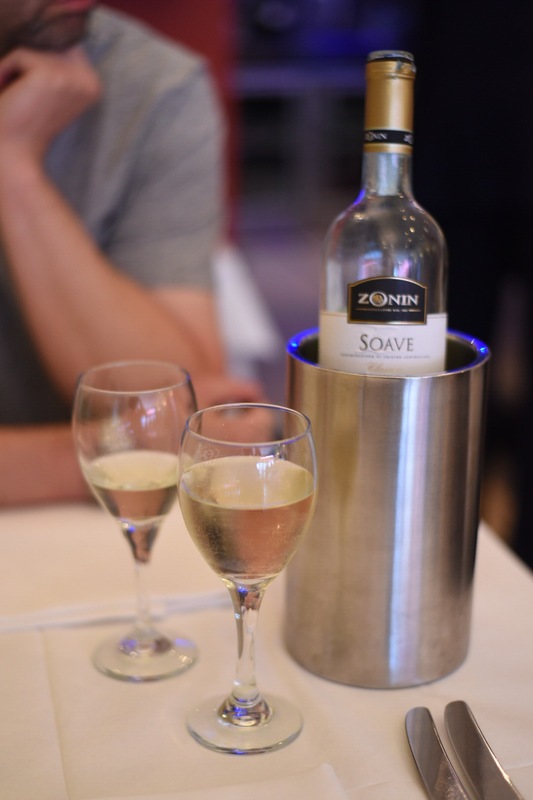 On taste it was full flavoured, if a little too rich from the marsala, whilst my risotto was good and didn’t taste like it was the original one left under a heat lamp, it hadn’t dried out and the seafood was juicy. The other half was still a little hungry and he’s a sucker for a good panna cotta, it’s not my bag I always think it reminds me of blancmange! Yay, at last no issues this time – it was smooth and creamy with a great wobble. Overall we couldn’t find much fault with the food, however with all the mishaps it put a downer on the meal. They tried to make amends by offering limoncello shots and lots of apologies. When the bill came, service was included and we stupidly paid it on this occasion, but if I was to go again and the same happened, I wouldn’t!